Dig your hiking boots out of storage because it’s time for a summer of hiking in Carbondale! A picturesque mountain town, Carbondale has short hiking trails designed for a quick afternoon jaunt, plus longer trails that make perfect day hikes. Here are a few of our favorite Carbondale hiking trails. Red Hill is a great place to get your legs in hiking shape. With its extensive trail system that accommodates hikers and mountain bikers, Red Hill is a hub of outdoor recreation. 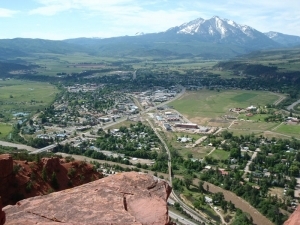 One of the most popular hiking trails, Mushroom Rock, overlooks the town of Carbondale and Mount Sopris. Hike to the top of Mushroom Rock by staying left at the trailhead; then, keep left to connect with the Three Poles Trail, and stay left again to connect with the Mushroom Rock Trail. The Mushroom Rock hike is just over 2 miles round trip. Enjoy the views from the top! The Thomas Lakes Trail is the epitome of Colorado high-country hiking. Along the way to the two lakes that make up Thomas Lakes, take breaks, so that you can enjoy the many beautiful wildflowers, and appreciate the scenic mountain landscape. As you near Thomas Lakes, you can set up camp in designated areas, which are located a quarter mile out from the lakes. 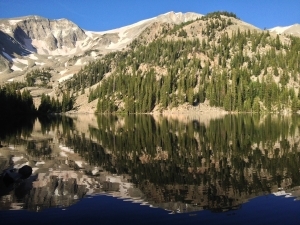 If you’re not camping, continue to the lakes to relax in the sun, or see if you can reel in a tiny alpine lake trout. The Thomas Lakes Trail is just over 7 miles round trip. Rising to an elevation of 12,965 feet, Mount Sopris is Carbondale’s iconic mountain. Wherever you are in the Roaring Fork Valley―practicing yoga on the top of Aspen Mountain, skiing on Snowmass Mountain, hiking in Basalt, or mountain biking in Glenwood Springs―you see Mount Sopris. The mountain is named after Richard Sopris, who was a Denver mayor in the late 1800s. The last 4 miles to the top of Mount Sopris are steep, so it’s highly recommended to backpack in, and then camp at Thomas Lakes. 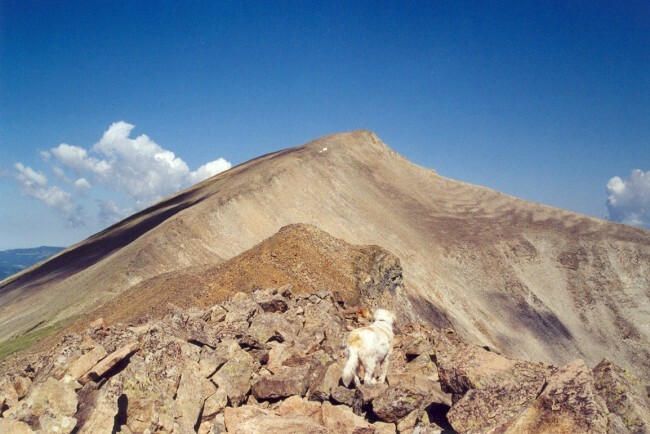 After a good night’s rest, you can welcome a new day by tackling those 4 steep miles to the top of Mount Sopris. Enjoy the incredible views from the summit! The Mount Sopris hike is around 15 miles round trip. Want to call Carbondale, CO home? If you’re interested in relocating to Carbondale, CO, check out our post that offers relocating tips for a move to the Roaring Fork Valley. And if you have any relocation questions, Lynn and the team at Amore Realty are available to give you answers. You can reach Lynn and the team at Amore Realty by calling 970-379-4766, or by filling out our contact form.